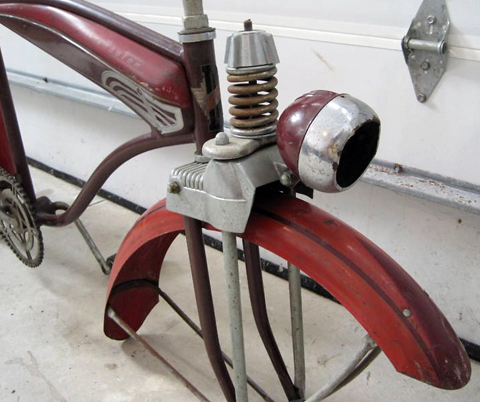 This bike came from a yard sale in New Jersey. The seller, Tony, explained: “The man I bought it from does house demolitions. He found this bike left in the attic and decided to keep it. He sold it at his own yard sale.” Though bicycles are not his speciality, Tony has a good eye for spotting interesting antiques. 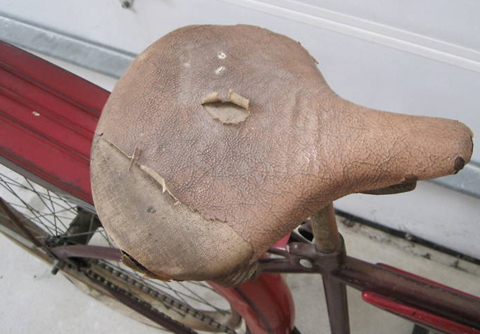 As you can see, there’s a bit of work to do on this bike, and a few parts missing. But what’s there seems reasonable, and I look forward to getting stuck into it. The most important thing to me is that the cosmetics of the bike are good enough to leave as is, so I only need to focus on parts location and mechanical restoration. I believe that the ‘weathered’ look of a vintage vehicle is an essential part of its history, to be preserved. 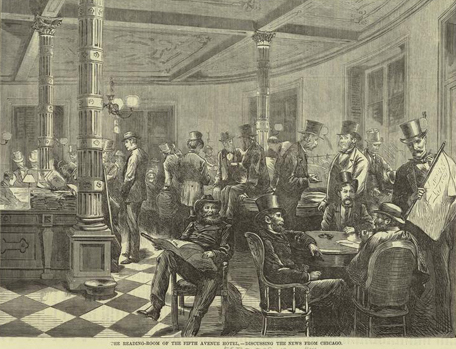 I’m hoping that reading this page might encourage others to take on projects such as this. I’ll update this page as I find parts and make progress restoring it. 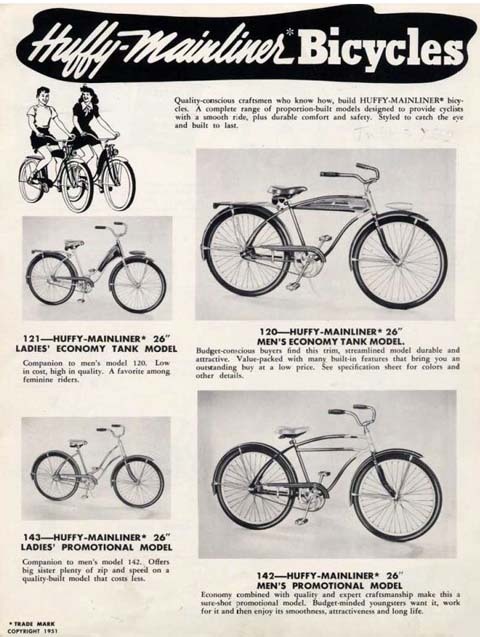 For 1937 the Super-Streamline was available in two models. Both models had shorter frames since the original battery box was eliminated. 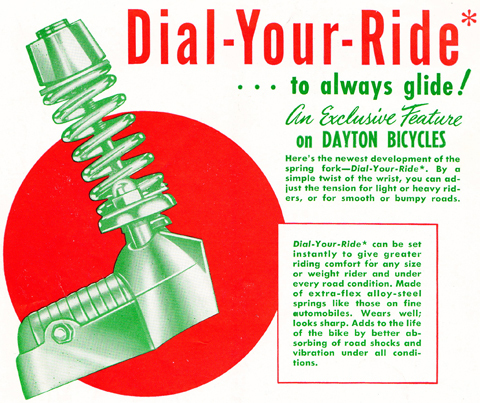 The D-2E used the 1936 frame with a torpedo style headlight, a “Huffman Streamline Extended” gooseneck, new style rear reflector and gothic style fenders. 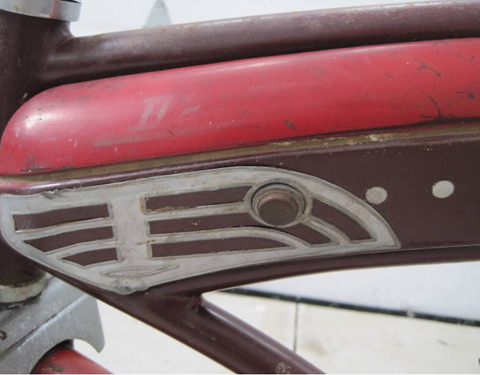 The rear stands attached to the frame instead of the rear axle. 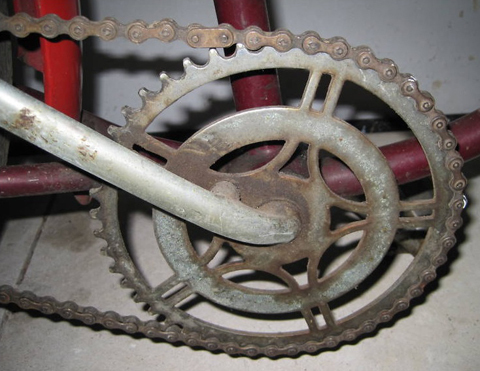 A short mesh-like chain guard replaced the previous years extra long unit. 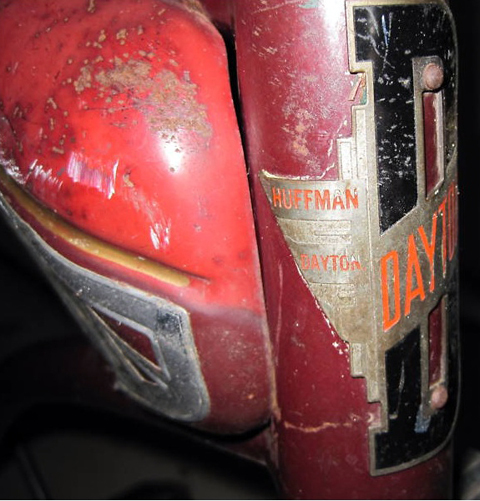 The Dayton and National bikes were chromed and the Huffman bikes used painted chain guards. 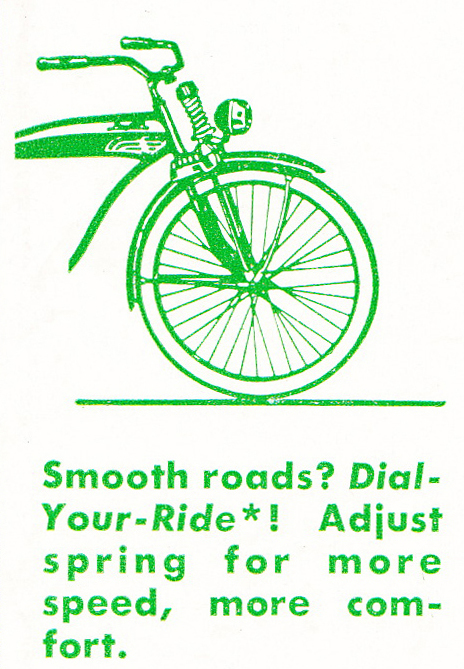 The new pedals were of a streamlined teardrop shape. 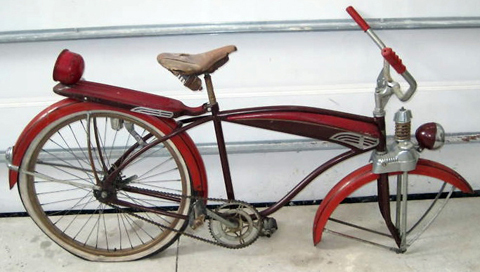 The second model D-1T used a slightly modified frame. 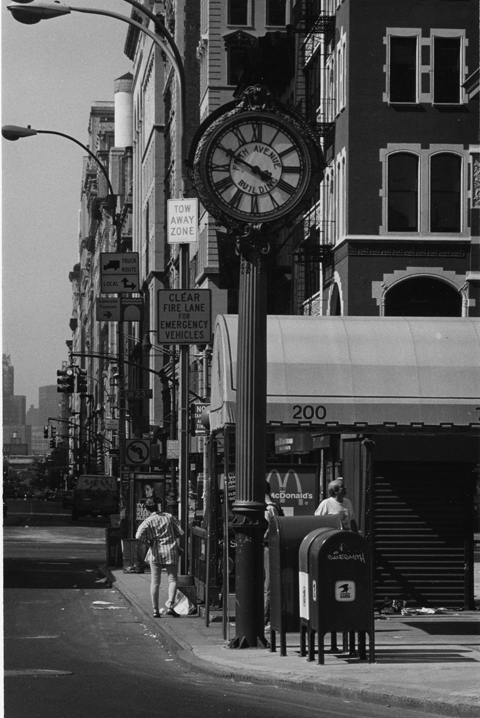 It used a 3-ribbed “Zephyr” tank with a horn button. 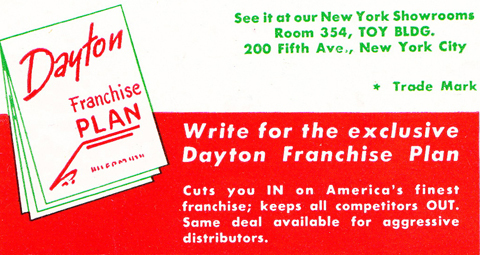 Dual “twinlites” were also part of the package. The owner could use four “D” cell batteries or a “409” size battery in the tank. 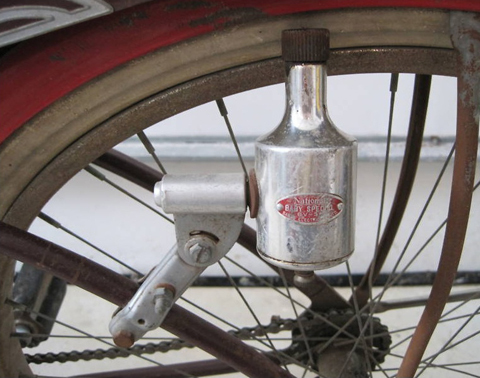 A unique feature was a cast aluminum speedometer housing that fit over the extended stem. 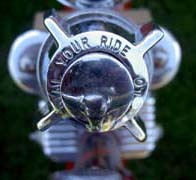 It was know as the Dayton “ashtray” and housed either a Stewart/Warner or Walthan speedometer. 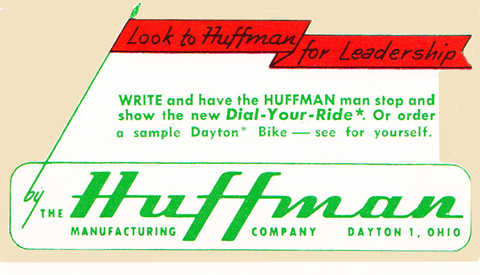 The 1937 Dayton line offered 16 models and the Huffman line consisted of 22 models. 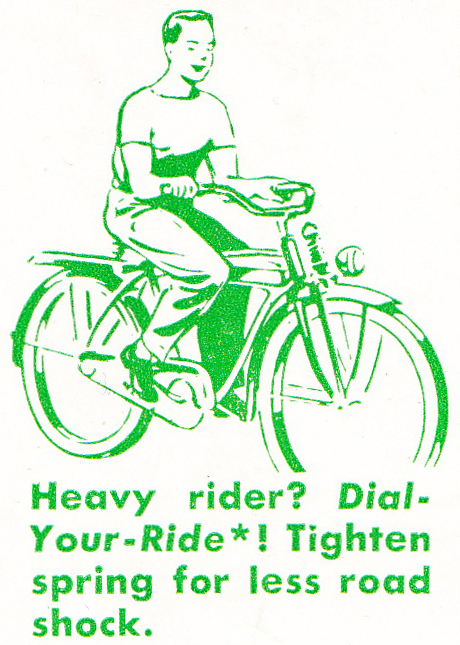 There was a new camel back frame with a single top tube in addition to the Standard Motorbike with the conventional frame. 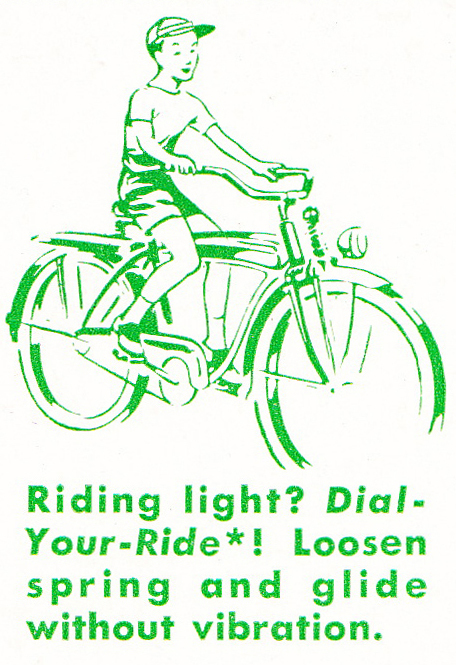 An economy version, the 6-T, was available with a camelback frame, hanging tank and aluminum headlight. 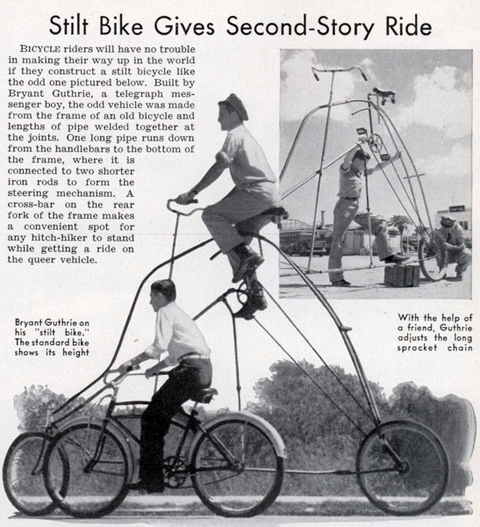 Bicycle riders will have no trouble in making their way up in the world if they construct a stilt bicycle like the odd one pictured below. 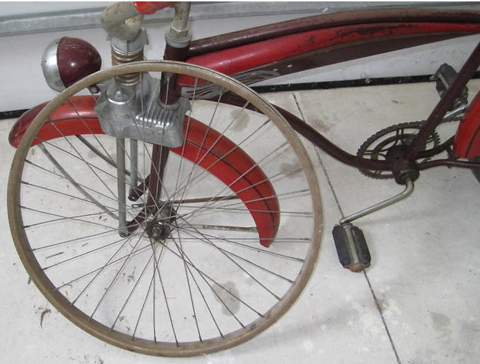 Built by Bryant Guthrie, a telegraph messenger boy, the odd vehicle was made from the frame of an old bicycle and lengths of pipe welded together at the joints. 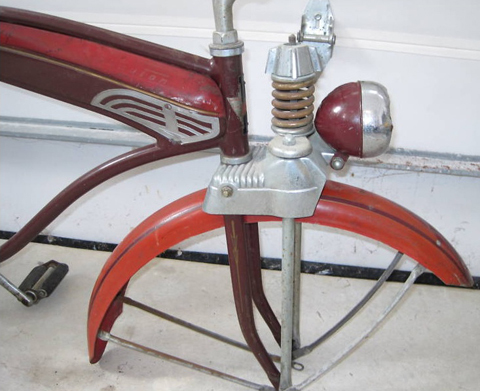 One long pipe runs down from the handlebars to the bottom of the frame, where it is connected to two shorter iron rods to form the steering mechanism. 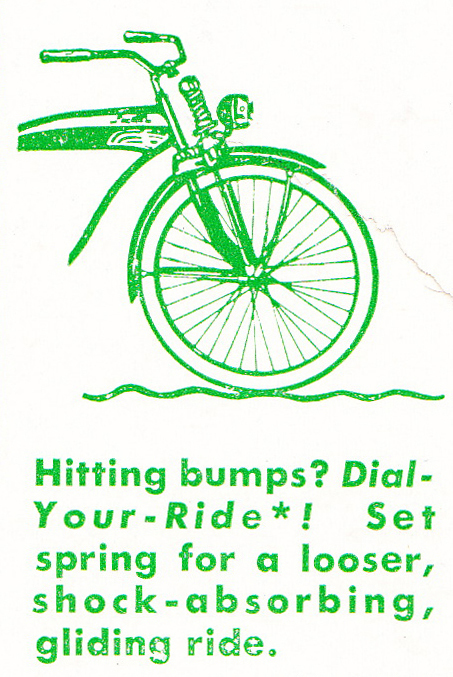 A cross-bar on the rear fork of the frame makes a convenient spot for any hitch-hiker to stand while getting a ride on the queer vehicle.